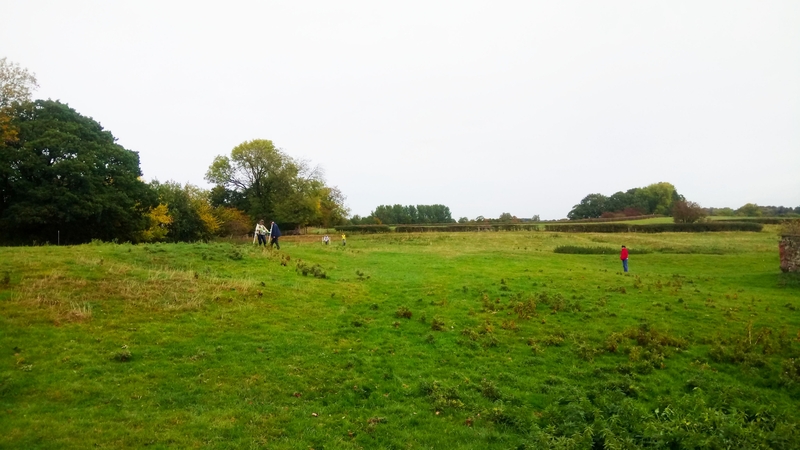 As part of the Heritage Lottery funded ‘River Tees Rediscovered’ project, NAA worked with Tees Archaeology to deliver a community-led geophysical survey on the shrunken medieval village (SMV) at Eryholme in North Yorkshire. Eryholme is likely to have housed a rural settlement since at least the early medieval period. Etymology suggests that the place name is Old Norse in origin, and the village is first documented in the Domesday Book of 1086 as a small village. Towards the end of the medieval period, enclosure acts saw the contraction or complete abandonment of numerous nucleated villages across England. Eryholme is a great example of a late medieval enclosure transforming a nucleated village settlement into a series of isolated farmsteads. The modern village of Eryholme comprises a series of dispersed cottages and houses lining Eryholme Lane, with the Church of St Mary the Virgin prominently positioned centrally to the village on the crest of a hill between the River Tees and Eryholme Lane. Evidence of the former medieval village is clearly visible in the modern landscape. A pronounced series of earthworks relating to settlement activity survive in the centre of Eryholme, and are surrounded to the west and north, by ridge and furrow field systems. Beyond ridge and furrow earthworks to the north of the village, there are several large platforms separated by a series of holloways that are postulated as relating to a former manorial site. During the post-medieval period, the field contained a farmstead, which partially survives in the modern landscape as two derelict brick buildings. Over two days in the autumn of 2018, NAA targeted four areas (totalling approximately 4ha) with magnetometer survey and, through the help of the local community, were able to rapidly and efficiently collect a high-quality dataset. Generally, anomalies detected by the geophysical survey complement earthworks present within the site, as well as features identified on LiDAR survey results. The results suggested that medieval settlement continued much further to the north than originally assumed, with clear evidence of settlement activity being recorded under ridge and furrow earthworks directly to the north of the village. The medieval village appeared in the geophysical survey results as a series of contiguous rectilinear anomalies, which indicated the presence of tofts fronting Eryholme Lane, with associated crofts located at their rear to the west. The results also detected a possible trackway running behind the crofts that provided passage between the manorial site to the north and the church and village to the south. In the centre of the modern village, the tofts and crofts are likely to be better preserved, as the area was not subjected to intensive ridge and furrow or ploughing, and it is possible that house platforms are present. To the north of the village core, agricultural activity has clearly truncated anomalies associated with settlement activity, demonstrating that medieval ridge and furrow supersedes the earlier village. This suggests that the village had contracted by the late-medieval period, and former settlement in the north of the village was transformed into agriculture land. Results to the east of Eryholme Lane were less conclusive and contained anomalies considered to be of agricultural or modern activity, as well as an unknown origin. The final area contained earthworks of raised platforms divided by a series of holloways that are suggested to belong to a medieval manorial complex located to the north of the village. The geophysical survey results complimented these earthworks, with the series of holloways appearing as negative anomalies. Numerous linear and rectilinear anomalies were identified within the raised platforms that may be indicative of infilled features, such as former boundaries used to enclose areas within the platforms, as well as possible evidence of structural activity. 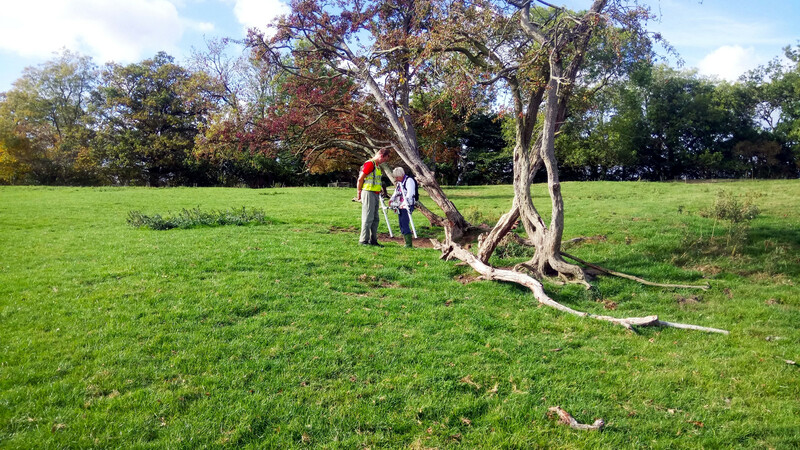 The community-led geophysical survey project at Eryholme presented an excellent opportunity to work on an exciting area of archaeological research within the Tees Valley. 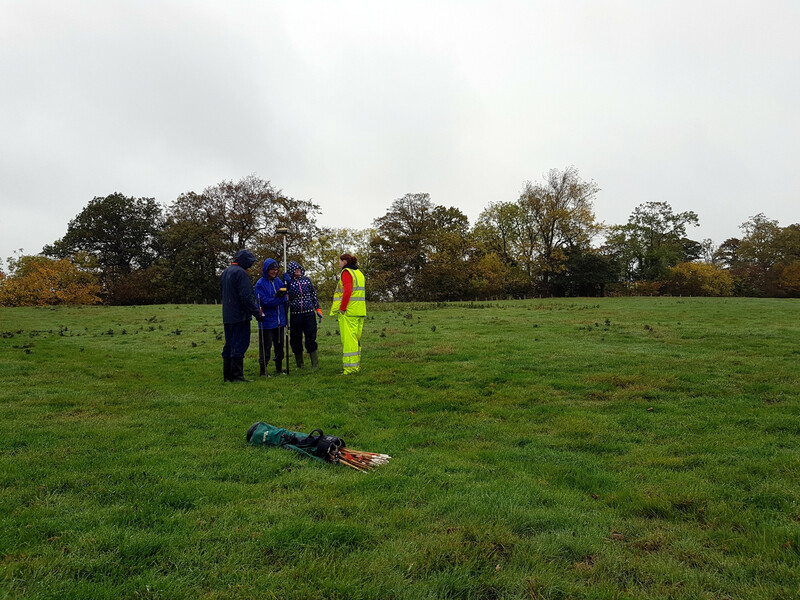 Through our work with Tees Archaeology, we were able to deliver vibrant on-site training and further the archaeological record of an important SMV site in North Yorkshire. Prior to the fieldwork, Tees Archaeology provided us with an informed tour of the site that was particularly useful in understanding its setting and historical record. 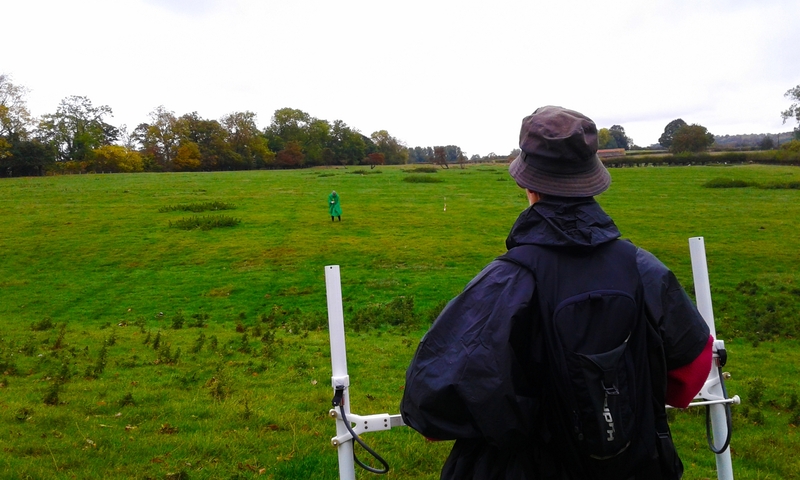 Onsite, we were joined by an amazing group of volunteers, who persistently radiated enthusiasm and passion whilst learning the art of geophysical survey, even when made to repeatedly walk the same 30m line in persistent late-summer rain! Also, given the topography and earthworks within the site, we were able to use a multi-method archaeological approach to analyse the results of the geophysical survey, and by doing so play with some amazing 3D models and overlays of the site!